6351201 8FDL20 TOYOTA 8FDL20 Diesel forklift FDL series. Spare parts catalog. Service (workshop) Manual. 6351202 80-3FDL20 TOYOTA 80-3FDL20 Diesel forklift FDL series. Spare parts catalog. Service (workshop) Manual. 6351203 80-4FDL20 TOYOTA 80-4FDL20 Diesel forklift FDL series. Spare parts catalog. Service (workshop) Manual. 6351204 82-4FDL20 TOYOTA 82-4FDL20 Diesel forklift FDL series. Spare parts catalog. Service (workshop) Manual. 6351205 80-5FDL20 TOYOTA 80-5FDL20 Diesel forklift FDL series. Spare parts catalog. Service (workshop) Manual. 6351206 82-5FDL20 TOYOTA 82-5FDL20 Diesel forklift FDL series. Spare parts catalog. Service (workshop) Manual. 6351207 60-6FDL20 TOYOTA 60-6FDL20 Diesel forklift FDL series. Spare parts catalog. Service (workshop) Manual. 6351208 62-6FDL20 TOYOTA 62-6FDL20 Diesel forklift FDL series. Spare parts catalog. Service (workshop) Manual. 6351209 80-6FDL20 TOYOTA 80-6FDL20 Diesel forklift FDL series. Spare parts catalog. Service (workshop) Manual. 6351210 82-6FDL20 TOYOTA 82-6FDL20 Diesel forklift FDL series. Spare parts catalog. Service (workshop) Manual. 6351211 80-7FDL20 TOYOTA 80-7FDL20 Diesel forklift FDL series. Spare parts catalog. Service (workshop) Manual. 6351212 82-7FDL20 TOYOTA 82-7FDL20 Diesel forklift FDL series. Spare parts catalog. Service (workshop) Manual. 6351213 02-8FDL20 TOYOTA 02-8FDL20 Diesel forklift FDL series. Spare parts catalog. Service (workshop) Manual. 6351214 80-FDL23 TOYOTA 80-FDL23 Diesel forklift FDL series. Spare parts catalog. Service (workshop) Manual. 6351215 80-4FDL23 TOYOTA 80-4FDL23 Diesel forklift FDL series. Spare parts catalog. Service (workshop) Manual. 6351216 82-4FDL23 TOYOTA 82-4FDL23 Diesel forklift FDL series. Spare parts catalog. Service (workshop) Manual. 6351217 80-5FDL23 TOYOTA 80-5FDL23 Diesel forklift FDL series. Spare parts catalog. Service (workshop) Manual. 6351218 82-5FDL23 TOYOTA 82-5FDL23 Diesel forklift FDL series. Spare parts catalog. Service (workshop) Manual. 6351219 80-6FDL23 TOYOTA 80-6FDL23 Diesel forklift FDL series. Spare parts catalog. Service (workshop) Manual. 6351220 82-6FDL23 TOYOTA 82-6FDL23 Diesel forklift FDL series. Spare parts catalog. Service (workshop) Manual. 6351221 8FDL25 TOYOTA 8FDL25 Diesel forklift FDL series. Spare parts catalog. Service (workshop) Manual. 6351222 80-3FDL25 TOYOTA 80-3FDL25 Diesel forklift FDL series. Spare parts catalog. Service (workshop) Manual. 6351223 80-4FDL25 TOYOTA 80-4FDL25 Diesel forklift FDL series. Spare parts catalog. Service (workshop) Manual. 6351224 82-4FDL25 TOYOTA 82-4FDL25 Diesel forklift FDL series. Spare parts catalog. Service (workshop) Manual. 6351225 80-5FDL25 TOYOTA 80-5FDL25 Diesel forklift FDL series. Spare parts catalog. Service (workshop) Manual. 6351226 82-5FDL25 TOYOTA 82-5FDL25 Diesel forklift FDL series. Spare parts catalog. Service (workshop) Manual. 6351227 60-6FDL25 TOYOTA 60-6FDL25 Diesel forklift FDL series. Spare parts catalog. Service (workshop) Manual. 6351228 62-6FDL25 TOYOTA 62-6FDL25 Diesel forklift FDL series. Spare parts catalog. Service (workshop) Manual. 6351229 80-6FDL25 TOYOTA 80-6FDL25 Diesel forklift FDL series. Spare parts catalog. Service (workshop) Manual. 6351230 82-6FDL25 TOYOTA 82-6FDL25 Diesel forklift FDL series. Spare parts catalog. Service (workshop) Manual. 6351231 80-7FDL25 TOYOTA 80-7FDL25 Diesel forklift FDL series. Spare parts catalog. Service (workshop) Manual. 6351232 82-7FDL25 TOYOTA 82-7FDL25 Diesel forklift FDL series. Spare parts catalog. Service (workshop) Manual. 6351233 02-8FDL25 TOYOTA 02-8FDL25 Diesel forklift FDL series. Spare parts catalog. Service (workshop) Manual. 6351234 8FDL30 TOYOTA 8FDL30 Diesel forklift FDL series. Spare parts catalog. Service (workshop) Manual. 6351235 02-8FDL30 TOYOTA 02-8FDL30 Diesel forklift FDL series. Spare parts catalog. Service (workshop) Manual. 6351237 6FDN20 TOYOTA 6FDN20 Diesel forklift FDN series. Spare parts catalog. Service (workshop) Manual. 6351238 7FDN20 TOYOTA 7FDN20 Diesel forklift FDN series. Spare parts catalog. Service (workshop) Manual. 6351239 60-6FDN20 TOYOTA 60-6FDN20 Diesel forklift FDN series. Spare parts catalog. Service (workshop) Manual. 6351240 02-7FDN20 TOYOTA 02-7FDN20 Diesel forklift FDN series. Spare parts catalog. Service (workshop) Manual. 6351241 60-7FDN20 TOYOTA 60-7FDN20 Diesel forklift FDN series. Spare parts catalog. Service (workshop) Manual. 6351242 62-7FDN20 TOYOTA 62-7FDN20 Diesel forklift FDN series. Spare parts catalog. Service (workshop) Manual. 6351243 60-8FDN20 TOYOTA 60-8FDN20 Diesel forklift FDN series. Spare parts catalog. Service (workshop) Manual. 6351244 62-8FDN20 TOYOTA 62-8FDN20 Diesel forklift FDN series. Spare parts catalog. Service (workshop) Manual. 6351245 70-8FDN20 TOYOTA 70-8FDN20 Diesel forklift FDN series. Spare parts catalog. Service (workshop) Manual. 6351246 72-8FDN20 TOYOTA 72-8FDN20 Diesel forklift FDN series. Spare parts catalog. Service (workshop) Manual. 6351247 6FDN25 TOYOTA 6FDN25 Diesel forklift FDN series. Spare parts catalog. Service (workshop) Manual. 6351248 7FDN25 TOYOTA 7FDN25 Diesel forklift FDN series. Spare parts catalog. Service (workshop) Manual. 6351249 60-6FDN25 TOYOTA 60-6FDN25 Diesel forklift FDN series. Spare parts catalog. Service (workshop) Manual. 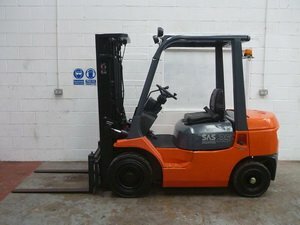 6351250 02-7FDN25 TOYOTA 02-7FDN25 Diesel forklift FDN series. Spare parts catalog. Service (workshop) Manual. 6351251 60-7FDN25 TOYOTA 60-7FDN25 Diesel forklift FDN series. Spare parts catalog. Service (workshop) Manual. 6351252 62-7FDN25 TOYOTA 62-7FDN25 Diesel forklift FDN series. Spare parts catalog. Service (workshop) Manual. 6351253 60-8FDN25 TOYOTA 60-8FDN25 Diesel forklift FDN series. Spare parts catalog. Service (workshop) Manual. 6351254 62-8FDN25 TOYOTA 62-8FDN25 Diesel forklift FDN series. Spare parts catalog. Service (workshop) Manual. 6351255 70-8FDN25 TOYOTA 70-8FDN25 Diesel forklift FDN series. Spare parts catalog. Service (workshop) Manual. 6351256 72-8FDN25 TOYOTA 72-8FDN25 Diesel forklift FDN series. Spare parts catalog. Service (workshop) Manual. 6351257 6FDN30 TOYOTA 6FDN30 Diesel forklift FDN series. Spare parts catalog. Service (workshop) Manual. 6351258 7FDN30 TOYOTA 7FDN30 Diesel forklift FDN series. Spare parts catalog. Service (workshop) Manual. 6351259 60-6FDN30 TOYOTA 60-6FDN30 Diesel forklift FDN series. Spare parts catalog. Service (workshop) Manual. 6351260 02-7FDN30 TOYOTA 02-7FDN30 Diesel forklift FDN series. Spare parts catalog. Service (workshop) Manual. 6351261 60-7FDN30 TOYOTA 60-7FDN30 Diesel forklift FDN series. Spare parts catalog. Service (workshop) Manual. 6351262 62-7FDN30 TOYOTA 62-7FDN30 Diesel forklift FDN series. Spare parts catalog. Service (workshop) Manual. 6351263 60-8FDN30 TOYOTA 60-8FDN30 Diesel forklift FDN series. Spare parts catalog. Service (workshop) Manual. 6351264 62-8FDN30 TOYOTA 62-8FDN30 Diesel forklift FDN series. Spare parts catalog. Service (workshop) Manual. 6351265 70-8FDN30 TOYOTA 70-8FDN30 Diesel forklift FDN series. Spare parts catalog. Service (workshop) Manual. 6351266 72-8FDN30 TOYOTA 72-8FDN30 Diesel forklift FDN series. Spare parts catalog. Service (workshop) Manual. 6351267 6FDN35 TOYOTA 6FDN35 Diesel forklift FDN series. Spare parts catalog. Service (workshop) Manual. 6351268 02-6FDN35 TOYOTA 02-6FDN35 Diesel forklift FDN series. Spare parts catalog. Service (workshop) Manual. 6351270 FDS20 TOYOTA FDS20 Diesel forklift FDS series. Spare parts catalog. Service (workshop) Manual. 6351272 FDT25 TOYOTA FDT25 Diesel forklift FDT series. Spare parts catalog. Service (workshop) Manual. 6351274 7FDU20 TOYOTA 7FDU20 Diesel forklift FDU series. Spare parts catalog. Service (workshop) Manual. 6351275 8FDU20 TOYOTA 8FDU20 Diesel forklift FDU series. Spare parts catalog. Service (workshop) Manual. 6351276 02-5FDU20 TOYOTA 02-5FDU20 Diesel forklift FDU series. Spare parts catalog. Service (workshop) Manual. 6351277 62-6FDU20 TOYOTA 62-6FDU20 Diesel forklift FDU series. Spare parts catalog. Service (workshop) Manual. 6351278 62-8FDU20 TOYOTA 62-8FDU20 Diesel forklift FDU series. Spare parts catalog. Service (workshop) Manual. 6351279 7FDU25 TOYOTA 7FDU25 Diesel forklift FDU series. Spare parts catalog. Service (workshop) Manual. 6351280 8FDU25 TOYOTA 8FDU25 Diesel forklift FDU series. Spare parts catalog. Service (workshop) Manual. 6351281 02-5FDU25 TOYOTA 02-5FDU25 Diesel forklift FDU series. Spare parts catalog. Service (workshop) Manual. 6351282 62-6FDU25 TOYOTA 62-6FDU25 Diesel forklift FDU series. Spare parts catalog. Service (workshop) Manual. 6351283 62-8FDU25 TOYOTA 62-8FDU25 Diesel forklift FDU series. Spare parts catalog. Service (workshop) Manual. 6351284 7FDU30 TOYOTA 7FDU30 Diesel forklift FDU series. Spare parts catalog. Service (workshop) Manual. 6351285 8FDU30 TOYOTA 8FDU30 Diesel forklift FDU series. Spare parts catalog. Service (workshop) Manual. 6351286 02-5FDU30 TOYOTA 02-5FDU30 Diesel forklift FDU series. Spare parts catalog. Service (workshop) Manual. 6351287 62-6FDU30 TOYOTA 62-6FDU30 Diesel forklift FDU series. Spare parts catalog. Service (workshop) Manual. 6351288 62-8FDU30 TOYOTA 62-8FDU30 Diesel forklift FDU series. Spare parts catalog. Service (workshop) Manual. 6351289 7FDU32 TOYOTA 7FDU32 Diesel forklift FDU series. Spare parts catalog. Service (workshop) Manual. 6351290 8FDU32 TOYOTA 8FDU32 Diesel forklift FDU series. Spare parts catalog. Service (workshop) Manual. 6351291 02-6FDU33 TOYOTA 02-6FDU33 Diesel forklift FDU series. Spare parts catalog. Service (workshop) Manual. 6351293 FDZN20 TOYOTA FDZN20 Diesel forklift FDZN series. Spare parts catalog. Service (workshop) Manual. 6351294 FDZN25 TOYOTA FDZN25 Diesel forklift FDZN series. Spare parts catalog. Service (workshop) Manual. 6351295 FDZN30 TOYOTA FDZN30 Diesel forklift FDZN series. Spare parts catalog. Service (workshop) Manual.